A paediatrician on a course I attended urged all the parents to get their babies fully vaccinated. He said that since the Men C vaccine had been routinely administered he hadn’t seen a single case of Men C meningitis, having seen it regularly before the introduction of the vaccine. 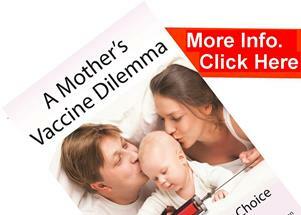 Therefore on that basis is the Men C vaccine advisable? Firstly, around the time meningitis C vaccine was introduced, 1999 in the UK, the incidence of Meningitis C was about 500 cases per year, (Meningitis Research Foundation) that’s only 1 case in every 130,000 people (across all ages). 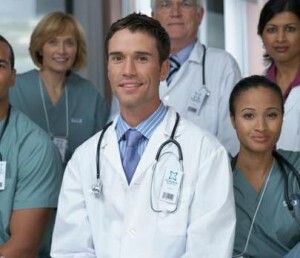 Your average GP has 2 to 3,000 patients and so it isn’t possible that a doctor would have seen Meningitis C ‘regularly’. A paediatric doctor (because they deal with children) will see even less than those numbers of meningitis patients, because many of those cases also include adults. It is likely that a doctor working in an intensive care unit may see proportionately more cases if they work in a specialist hospital dealing with meningitis. Nevertheless, because the numbers are so small, it is not possible to ‘see’ from a single doctor’s perspective what is really happening with vaccines. Your paediatrician can only justify his claim, if he is talking colloquially, saying that the medical profession ‘sees’ very few cases now compared to the pre-vaccine era. But this can only be assessed through statistical analysis, not through an individual doctor’s perspective of patients that they ‘see’ and this is true of all vaccines. Your paediatrician is really talking from a consensus of what he is told, but like most doctors they often give the impression that they know from their experience. They are telling you what they believe; on a superficial level belief in their health policy advisors, on a deeper level belief in the medical paradigm, germs are the primary cause of disease, symptoms equal malfunction, and so on. So in assessing vaccine effectiveness it is important to realise that we rely on the analysis of disease notifications from all over the country and as such it appears that meningitis C is on the decline since the introduction of the vaccine. However just as with other illnesses (see the first free introductory eBook – click here), numbers were declining prior to the introduction of vaccines and many illnesses (e.g. scarlet fever) declined without a vaccine ever being introduced. Similarly in the UK, meningitis B, as well as meningitis C, has also been on the decline BUT in the UK there isn’t a vaccine for meningitis B. Therefore we know that these illnesses fluctuate regardless of vaccines, so what would have been the natural decline of meningitis C without the vaccine? 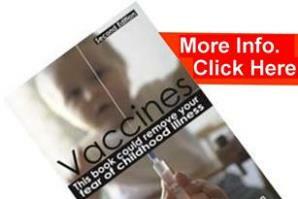 Some researchers do suggest that these declines may be due to reasons other than vaccines. Meningococcal bacteria (N. meningitides) remained a major cause of bacterial meningitis, despite the fact that rates declined significantly between 1998 and 2007. Since the declines were similar among all major groups, (meningococcal B, C, Y, W) and since the vaccines (MCV4 and MPSV4) do not include the meningococcal B group, these declines most likely represent secular trends rather than a vaccine effect. Cases of meningitis and septicaemia have fallen from about 4,000 a year in the late 1990s to 2,446 last year following the introduction of a vaccine against meningitis C in November 1999. But in a bizarre twist the number of deaths rose last year by 17 per cent from 317 to 370 and is not far below the level before the vaccine was introduced. In addition many cases of meningococcal infection cause an equally fatal septicaemia (severe blood poisoning) without symptoms of meningitis. So, for example, of the 17 deaths per 1000 children due to meningococcal septicaemia reported in 2013, 88% were unclassified therefore who knows what the true number of deaths from meningococcal C is once we include septicaemia. It is also important to understand that an illness such as meningitis (which can occur with or without septicaemia) is known as an invasive infection and as with most illnesses; many different kinds of bacteria as well as other viruses and fungus are associated with these illnesses. If somebody is vaccinated against one kind of bacteria but develops meningitis and/or septicaemia from another (bacteria, virus or fungus), then nothing has been solved, so it is important to assess the overall death rate due to invasive infections. (to read the full post – click here). This is the major issue with vaccines; can a vaccine reduce your susceptibility to an illness rather than just change the associated bacteria, virus or fungus? If someone dies of meningococcal B rather than meningococcal C what have we solved? To demonstrate a reduction in cases of meningococcal C tells us very little with respect to the disease, which is, bacterial invasive illness affecting the brain and nervous system. Why do invasive illnesses happen? Many people have in and on their bodies meningococcal B or C bacteria (at least 10% of the population) then there are other forms of meningococcal bacteria e.g. meningococcal W (which drug companies are also developing vaccines for) and meningococcal Y, E, Z. So in developed nations of the 10,000 to 20,000 people with meningococcal C or B on the outside membranes of the body (throat, nose etc) only one will develop meningitis. So the question remains, of the 10,000 people with meningococcal C bacteria, what causes the bacteria to become invasive in one person? What issues does that one person have that allows bacteria on the outside membranes of the body to bypass those membranes and affect the brain and peripheral nervous tissue? And can we really say meningococcal bacteria caused their condition when at least 9,999 people with the bacteria have no symptoms at all? Why would only 1 in 10,000 HPV-infected women develop cervical cancer? Why would cervical cancers develop 20 to 50 years after HPV infection? … If HPV does not cause cancer then HPV vaccine is useless. If HPV vaccines are useless it is certainly not worth submitting yourself or your loved ones to the 2.3 to 2.5% risk (that is now 230 to 250 people in 10,000) of serious adverse reactions. Invasive illnesses like meningococcal septicaemia and meningitis happen as a result of immune break-down in the individual, of which vaccines have been demonstrated to contribute. Part of the problem is in seeing illnesses as being due to isolated bacteria but recent studies show that interfering with individual types of bacteria that are part of the body’s normal bacterial eco-system shifts the balance form one form to another creating other illnesses. The results of the following study are being used to explain the side-effects of the pneumonia vaccine. By vaccinating we are sensitising the blood systems to foreign components that are normally not in the blood but naturally exist on our external membranes, vaccine producers cannot hope to eliminate bacteria from your membranes; bacteria, viruses and fungal cells are inherent and healthy components of our membranes (skin of gut, throat, lungs, urinary tracts etc). We clearly need to address the reasons why things that normally reside outside of the body invade the body, entering the blood, brain and nervous systems. There will always be elements on our body that can invade our internal systems once the natural barriers have been broken down. With a sinking ship it is not possible to save the vessel by draining the oceans of water; you need to repair the ship’s barrier to the water, that is, repair the hull of the ship. With the simplistic approach to disease; trying to zap isolated components with vaccines, essentially forcing components into the blood that shouldn’t be there, to provoke antibody responses – we are in fact increasing the risk of ‘sensitising’ the body to our environment (creating allergies, hay-fever, eczema, asthma, food allergies etc), breaking down the membranes (creating chronic inflammatory membranes – inflammatory bowel disease, leaky gut, Crohn’s etc) which leads to all kinds of invasive consequences; septicaemia, meningitis, encephalitis, paralysis, and chronic neurological diseases affecting brain and nervous system function, all of which are massively increasing. In addition there are other vaccine side-effects that we have not gone into, so yes a vaccine may result in a reduced reported incidence of an illness associated with a particular bacteria (or virus) BUT has the disease susceptibility changed or has it actually been made worse? We can only assess vaccine effectiveness and safety through careful statistical analysis, nobody can see this from their own experience. Vaccines may appear to ‘work’, but there are natural fluctuations and reporting issues to take into account. Incidence may be ‘reduced’, but people are being affected in the same and sometimes increasing numbers from similar illnesses associated with different bacteria. And then there are other side-effects (some of them very serious) imposed on the many to try and treat the few. With a disease incidence of 1 in 130,000, as a business model, it’s far more lucrative to vaccinate 130,000 people than to really help one, especially when liability for any vaccine damage is now being covered by governments. To understand these issues we need the biochemical detail but we also need the overview, drug companies are focussed on narrow details but have lost sight of the bigger picture, doctors are pawns to the business of big pharma. We are left having to read between the lines, more definitive answers can be obtained by comparing vaccinated with unvaccinated but pharmaceutical companies and health authorities rarely do them.